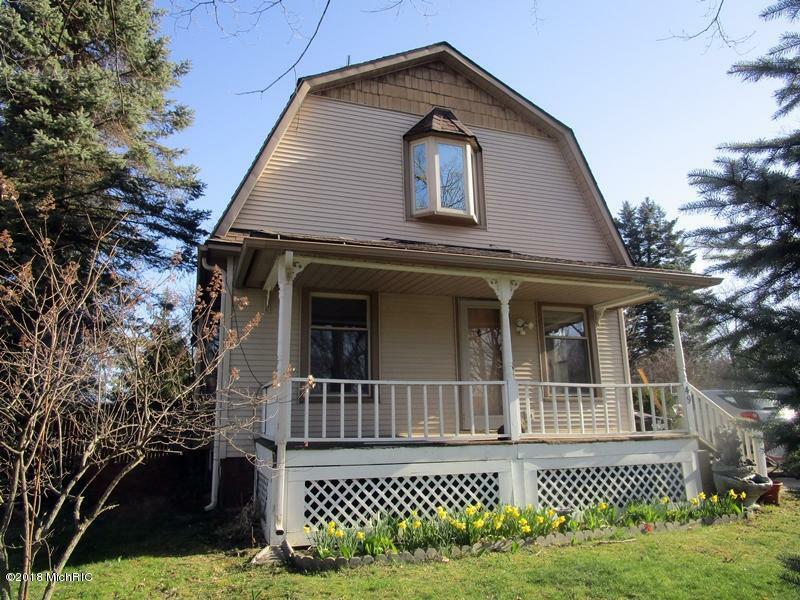 Adorable 2 bedroom, 1 bath, 1, 196 sf home in the Village of Kent City. Open floor plan with large living room, large open kitchen and dining. Beautiful windows bring in tons of light all around. Two beautiful bay windows in the living room and a garden window in the kitchen. Nice mudroom entry in rear of home. Large bath has laundry within. Updated paint, tub and interior features. Master bedroom is a nice size and can hold a king size bed. Basement houses the mechanical; featuring forced air furnace, water softener, newer hot water heater and newer well tank. One-car garage, fenced in back yard, corner lot-and-a-half in the Village. This one is ready for you to move in! Come see it today. This would be a nice starter! Open house Saturday, May 5th 10:00 a.m. - 12:00 noon.